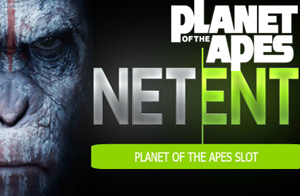 Ever since the software group, NetEnt, announced at the ICE2017 gaming expo that it was working on a new branded slot game, Planet of the Apes, players have been waiting impatiently for this title to launch. Last week, NetEnt announced that its new branded slot games was now live at online casinos that are powered by this group, and the response has been phenomenal. Planet of the Apes slot, created in association with 20th Century Fox Consumer Product, has brought this famous movie brand to the reels of a graphically-stunning, bonus-rich slot game, and players are thrilled. This American sci-fi media brand is made up of books, films, TV series, comics and more, all based on the 1963 novel by the French author Pierre Boulle. After Boulle’s book was translated into English, it was adapted five years later into the first movie. Since then, four sequels have followed, namely Beneath the Planet of the Apes, Escape from the Planet of the Apes, Conquest of the Planet of the Apes and Battle for the Planet of the Apes. In 2011, a new reboot film series kicked off with Rise of the Planet of the Apes. This year saw the release of two more titles, Dawn of the Planet of the Apes and War for the Planet of the Apes. NetEnt’s new slot is based on two of these movies, Rise and Dawn, and extensive graphics and footage from both films are incorporated onto the reels. What makes this game so interesting is that it comes with two completely separate sets of reels that spin at the same time. Each set of reels features 5 reels and 30 pay lines. The sets also carry their own features such as separate free spins and bonus features. • Rise Bonus – activated by the Rise Bonus symbol when it lands on the first reel. Earn extra payouts for landing Human and Ape symbols. • Dawn Bonus – activated by the Dawn Bonus symbol when it lands on the last reel. All Human and Ape symbols turn into the same symbol. 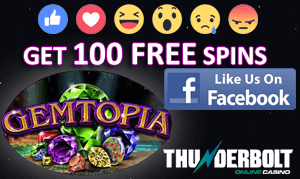 • Three or more scatter symbols trigger the Free Spins bonus with various free spin/multiplier options to win.